Milos Raonic suffered a first loss to Dominic Thiem, with the Austrian advancing to face Roger Federer in the Indian Wells Masters final. Dominic Thiem claimed a first career win over Milos Raonic to set up an Indian Wells Masters final with Roger Federer. The Austrian came through in three sets, securing the only break of the match in the decider en route to a 7-6 (7-3) 6-7 (3-7) 6-4 victory, his first over Raonic in their third meeting. 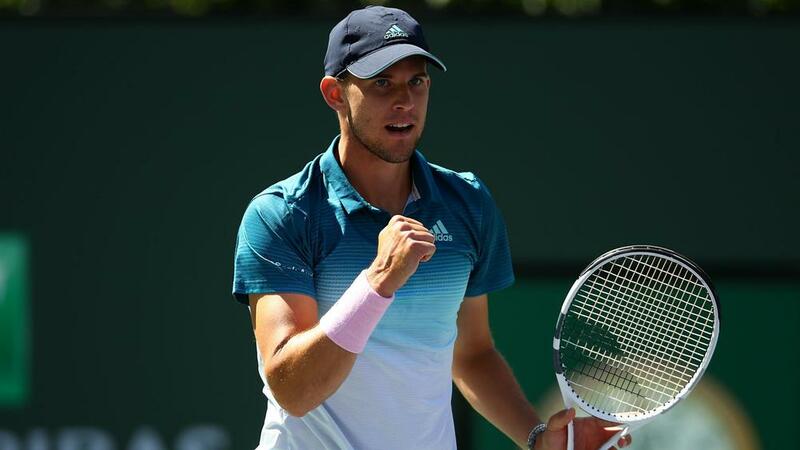 Thiem advanced to his third Masters final, and his first on hard court after losing on clay in the Madrid Open in 2017 and 2018. The 25-year-old will now meet Federer - the duo each having won two of their previous four encounters - after the Swiss was handed a walkover by virtue of Rafael Nadal's withdrawal on Saturday. Neither Thiem nor Raonic could carve out many openings on the other's serve in the first set, though it was the former who opened up a 4-1 lead in the breaker to take the opener. Thiem might have been in for a more straightforward day had he converted his break point early in the second set but Raonic fought back and won two points on his opponent's serve in the tie-break to force a decider. Raonic hit far more winners than Thiem, but combined that with 35 unforced errors, one of which gave the Austrian the match's first break in the fifth game of the third set. Thiem then served for the match, though he was fortunate Raonic pushed a backhand long on break point having telegraphed a drop shot, and the world number eight then converted his second match point to set up a showdown with Federer.